There is a common misunderstanding that average and ordinary folks like you and I can’t and will never become millionaires. That couldn’t be further from the truth. The fact is, we have the power to accumulate wealth beyond our dreams. Many people who have never earned a six-figure income become financially independent. How do they do it? Doesn’t it take a high level job with a big salary? Or a large inheritance? Or winning the lottery? Did you know we spend more time planning a two week vacation than our entire financial life? It is true, so it is time to set your priorities strait. YOU CAN get on the path to financial independence. YOU CAN get on the path to financial independence! 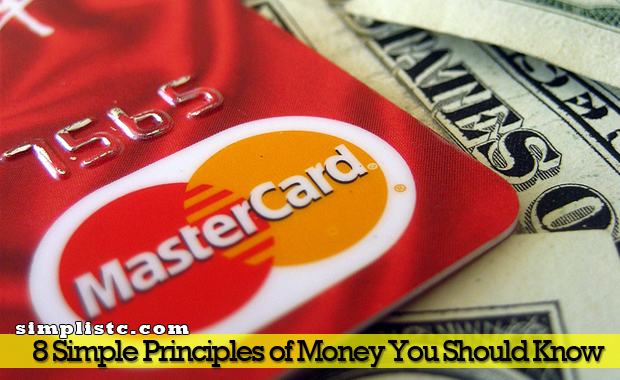 By applying the 8 simple principles of money, you can achieve financial security and ultimately reach your goals. But nobody else can make it happen. It’s up to you. There’s a motto you need to start living by and that motto is: If it’s meant to be, it’s up to me! You have the power to change your financial life forever. Did you know one of the biggest financial mistakes most people make is dependence? Dependence on others allows “outside” factors in people’s lives to control them. The secret to financial security is learning to control the things you CAN control. We need to take control back. From banking institutions, insurance companies, trust companies and credit unions. We’ve given them all our money and in return they have taken all the power. We have to be able to understand what we can and what we can’t control. Paying yourself first means putting yourself and your family before any other demands on your money. After all, you work for you and not for your cable, internet, or cell phone provider. Paying yourself first is a form of self-respect. Deposit a set amount EACH AND EVERY MONTH into an investment program, no matter what other financial obligations you have. It’s amazing how fast your money can grow if you invest even a small amount regularly, at a good rate of return. We’ll be discussing that another time. As you begin your journey to financial independence, remember this key point: It’s not what you make, it’s what you keep. Right now, Canadian households are spending 162% of what they make. Keeping up with the Jones’ is putting people in financial slavery. The way you think about money is everything. Your mindset is a powerful thing, especially when it comes to money. That explains why so many of the people who win the lottery end up losing it all. It helps you understand how so many millionaires are self made. If you think you don’t deserve to be financially secure, you’ll never be financially secure. However, if you “upgrade and improve” your self image and believe you deserve the freedom and peace of mind that financial security provides, you’ll have a better chance at doing what needs to be done to obtain wealth beyond your dreams. Along with setting priorities comes one tough rule of life: you can’t have everything. You have to make conscious decisions about every purchase. Go to www.mint.com and download the app. It really helps you keep track of your financial life. An important concept to understand is want vs. need. A need is something you have to have, something you can’t do without. You “need” food. You “need” shelter. A want is something you would like to have. You “want” ice cream. You “want” a bigger house. If you want to achieve financial independence, you may have to make sacrifices for a period of time and go without some of your “wants.” It’s not that tough, but it is very, very important to your financial health. If your family income is very modest, things may be so tight that it’s tough to invest more than $50 a month. If you want to make significant progress, consider taking a part-time job to get the extra income needed to start your investment program. a. Low-interest savings accounts or accumulations with banks and insurance companies. You can take money from a 1% savings plan and invest it in an area that has the potential for higher returns. b. High-cost life insurance. You can replace your outdated, expensive cash value insurance policies with term insurance and potentially save thousands of dollars in premium over time! Both of these areas will be covered in more detail at a later time. Credit cards are good for convenience but that’s it. Be careful to avoid the pitfalls of “plastic money.” Pay your balance in full each month and you’ll not only avoid interest charges but you’ll prevent your balance from escalating out of control and will improve your credit score. To keep your monthly charges under control, pay with cash. You’ll probably find you spend less when you have to hand your money over. See how many options you have? You DO have a choice about your financial future. Here is 9 easy steps of getting out of credit card debt. After you’ve set your goals you need a road map to get you there. You need a financial game plan. Together with your goals, a game plan is the cement that holds together your financial foundation. Out of sight, out of mind.